Women have always been involved in the sciences, even if they have been greatly outnumbered by men. Too often, we only learn about them decades later, when we discover that their work was used by other scientists who refused to give them credit, even when findings were published or awards granted. If you have talent and hold your ground, though, you can demand that your discoveries get attention. Antonia Maury took action and got some credit. Antonia Caetana de Paiva Pereira Maury was the descendant of scientists. Her maternal grandfather and uncle were the Drapers, John William and Henry, who were pioneering astronomers. The men in the Draper family went into nearly every field of science. Maury’s father, Doctor and Reverend Mytton Maury, was a naturalist and Episcopalian minister, while her mother Virginia Draper not only had claims to science but to Portuguese nobility on her mother’s side. In fact, Maury’s parents named her after her grandmother, who fled Europe during the Napoleonic Wars. The Maurys encouraged their children to pursue their interests and become educated. When Maury was born on March 21, 1866, such intellectual support for girls was rare. Yet Maury and her younger sister both went on to have careers in the sciences. Maury went to Vassar College, where she was prepared beyond the level of her classmates by being home schooled by her father and helping her uncle in his lab. It would have been easy for Maury to focus on social sciences, English, or other fields, but one of her professors, Maria Mitchell, was a renowned astronomer and sparked Maury’s interests. Maury graduated from Vassar in 1887 with honors in three fields -- astronomy, philosophy, and physics. While some give Harvard director Edward Charles Pickering credit as a champion for women in the sciences because he created the Harvard Computers program, which only hired women, he also repeatedly published their findings without crediting them. 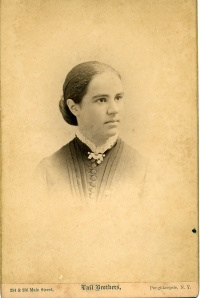 Maury had had enough of her work being criticized and then used without credit, so by 1891 she left the program when Pickering refused to accept her observations and classifications of stellar brightness. Maury’s work took an earlier version of her maternal uncle’s work and expanded and refined it. She was able to continue the work by using family connections as well as by returning to the Harvard College Observatory over the next several years to do her research. Finally, Maury’s stellar classification was published in 1897 under her own name, making it the first such publication. “Spectra of Bright Stars Photographed with the 11-inch Draper Telescope as Part of the Henry Draper Memorial.” With some further fine tuning, this catalogue is still used today. Maury also taught and lectured at Cornell and Harvard as well as privately tutoring and teaching at private high schools to make a living and continue her scientific work. Pickering needed Maury’s abilities, but the two struggled to get along for specific studies. In 1918 she returned to Harvard as an adjunct professor until she retired in 1943. Maury was able to get along much better with Pickering’s successor, Harlow Shapley, from 1921 onward. Beyond her catalogue and stellar classification system, Maury is known for her studies of two particular stars: Beta Lyrae (spectroscopic analysis published in 1933) and Mizar A, confirming Pickering’s speculations. As important and necessary as her skills were, Maury received few awards or funding during her lifetime. The Henry Draper Memorial fund obviously had family connections, yet there were claims that her aunt didn’t appreciate her changing so much of her uncle’s work. She also received the Pickering Fellowship for Women for the 1919-20 school year. In 1935 she and a cousin had their photographs of a lunar crater and 8 ejecta (ejected materials from the impact) accepted and named for them. The most important award Maury received was late in her life, the Annie Jump Cannon Award in Astronomy by the American Astronomical Society in 1943 for her lifetime of work.